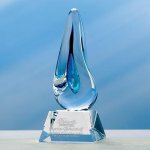 The Nik Meller Collection of elegant premium grade optic crystal Awards are designed by International furniture designer and sculptor Nik Meller. 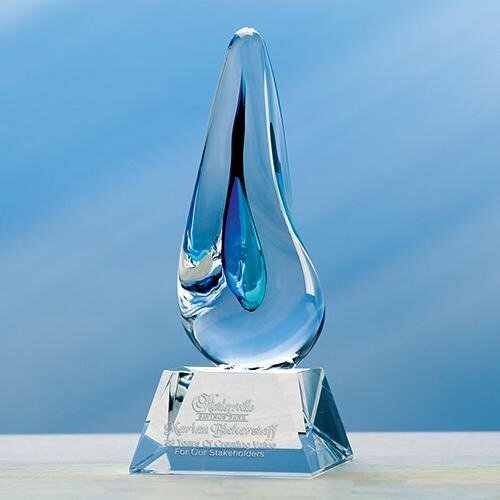 The Mixx crystal award boasts a refined cobalt blue crystal pyramid in the foreground. The majestic structure in the background is a beautifully carved rectangle accentuates the face, which contains four beveled triangles conjoining together. 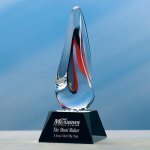 Inspired by the Angels Falls in Venezuela the Mixx Crystal Award represents international recipients recognized for excelling in natural precision. Available in three standard sizes. Custom sizes and multiple color combinations available upon request. The Modern Circle Award is part of our Modern Collection. 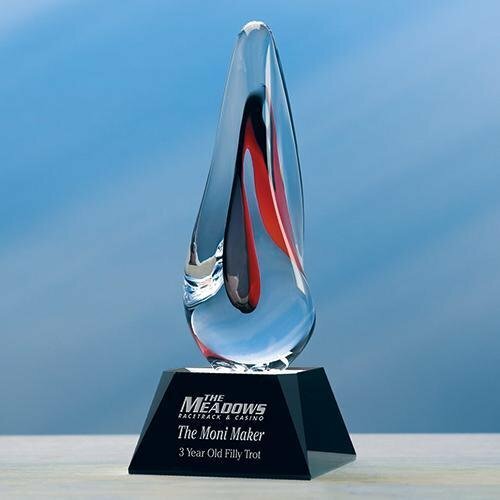 The award is a piece of clear beveled acrylic attached to a chrome metal base. Perfect for any recognition or award ceremony, including sports, corporate or educational applications. The Modern Circle Award is part of our Modern Collection. The award is a piece of clear beveled acrylic attached to a chrome metal base and has metal star on top that is attached using UV glue. This item is currently available in only one size. Perfect for any recognition or award ceremony, including sports, corporate or educational applications. The Herald Award is part of our Modern Collection. 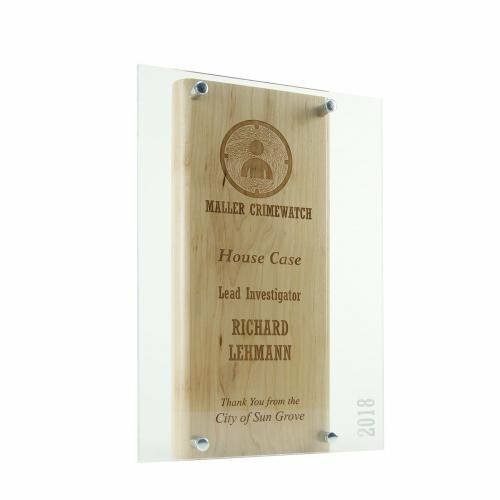 The award is a piece of clear beveled acrylic attached to a chrome metal base. Perfect for any recognition or award ceremony, including sports, corporate or educational applications. Lasered maple with acrylic over lay with imprint. Acrylic raised with silver standoffs. Handcrafted, our Molten Award features unique design contours with blue and black accent colors. It includes an attached deep-etched black or clear optical base. Packaged in a attractive gift box. Handcrafted, our Molten Award features unique design contours with red and black accent colors. It includes an attached deep-etched black or clear optical base. Packaged in a attractive gift box.